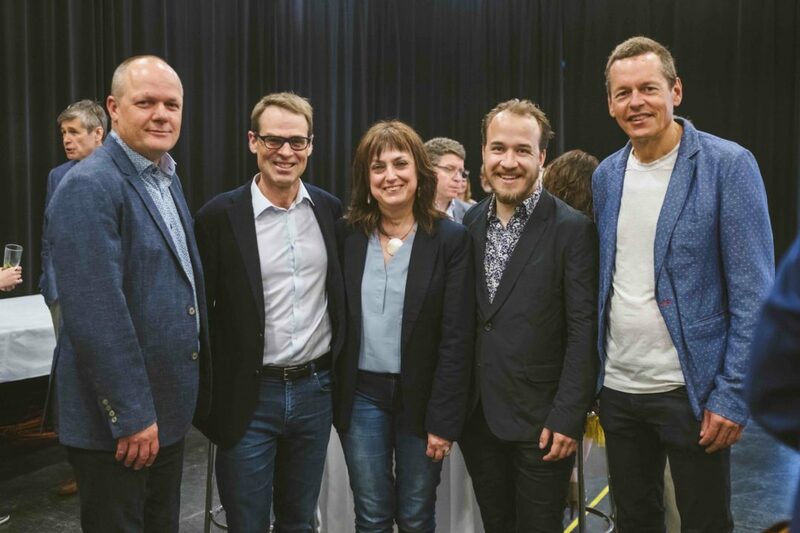 Montreal, May 25, 2018 – In the presence of The 7 Fingers, who are performing Reversible in The Carrefour international de théâtre May 25, 26, and 27, Mr. Daniel Gauthier, Chairman of the boards of Groupe Le Massif S.E.C and HDG Inc., announced a major contribution of $100,000 to The 7 Fingers Foundation’s fundraising campaign. 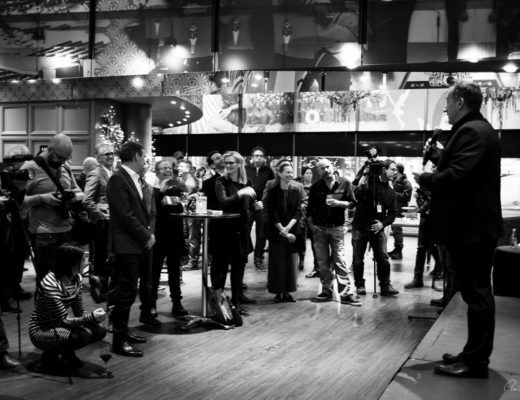 Confident in the relevance of The 7 Fingers and in the major role that the collective has been playing in the development of circus arts in Quebec, Mr. Gauthier also brought together about fifty personalities from the business community of the Quebec City region. Addressing those present, Mr. Gauthier spoke about the artistic collective’s story, from its creation in 2002 by seven young artists from Cirque du Soleil, to its evolution into of one of Quebec’s most internationally renowned cultural organizations. The 7 Fingers Foundation has launched a fundraising campaign this year to enable the collective to achieve its triple mission: the creation of innovative works, the acquisition of state-of-the-art circus arts equipment, and a commitment to disadvantaged groups in the community. Ambassadors are mandated to help the foundation achieve its goals. In 2018, in addition to touring their existing shows and creating two new works, The 7 Fingers are inaugurating their Creation and Production Centre on St-Laurent Boulevard, in the heart of Montreal’s Quartier des Spectacles. This 60,000 square foot building, with two major creative studios and numerous meeting spaces, is bound to become an exceptional venue for the development of circus and performing arts in Quebec. It will be open to emerging circus artists, with creative residencies for artists from here and abroad. It will also be a warm and welcoming place, hosting youth, students, and groups from disadvantaged backgrounds, allowing them to explore circus and performing arts. Reversible was created in La Tohu in December 2016. Everywhere the show has been presented, it has delighted audiences and critics alike. After Quebec City, Reversible will continue its impressive international tour, with performances at the Cirque Nouveau/Autostadt Summer Festival in Germany (July), the Fringe Festival in Edinburgh (August), the Panasonic Theater in Toronto in December, and a long US tour in the beginning of 2019.